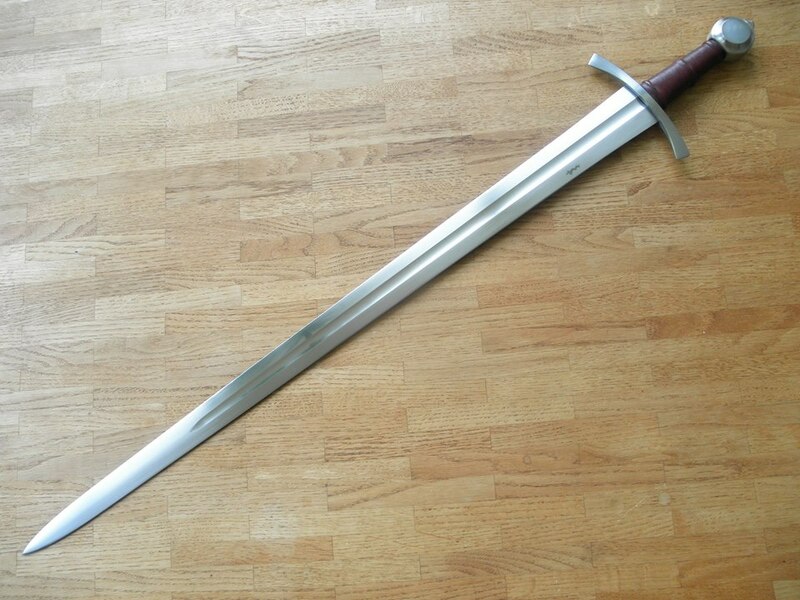 I'm putting this XII arming sword for sale. 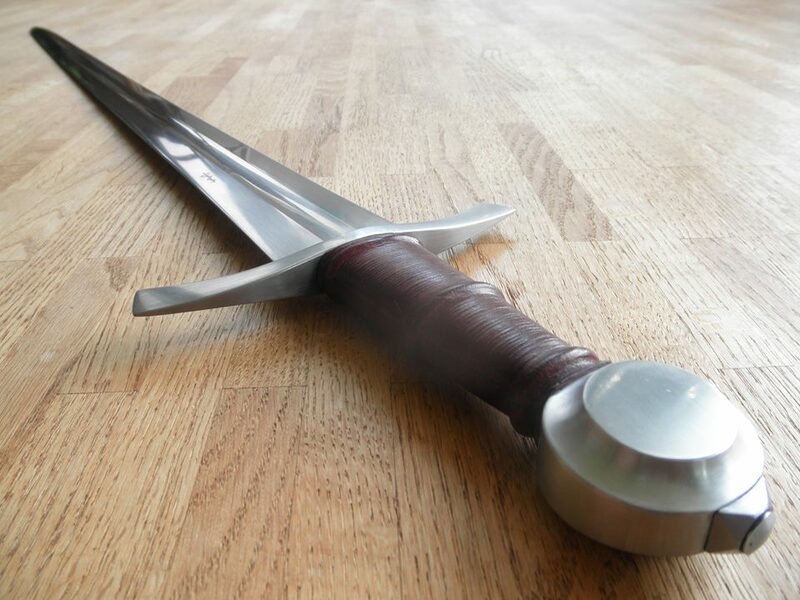 It is inspired by the swords used in the fencing treatise I.33 and excellently suited to practicioners of sword & buckler fencing. 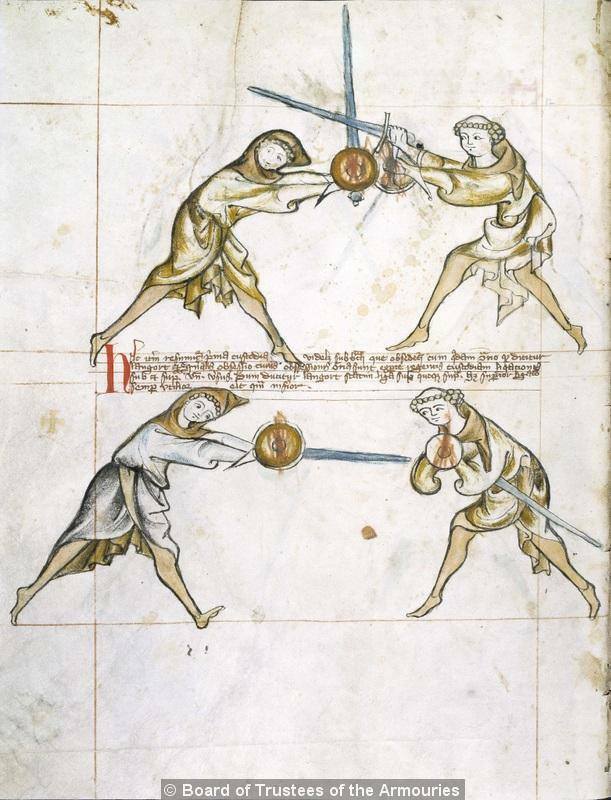 The sword seen in the priest’s hand in the upper right corner shows many of the same characteristics as my interpretation. A feature I really like are the flared shoulders. My version is a good deal more subtle in that but it really adds to the harmonious lines. Asking price is 2800 Euros. The distal taper of the guard and pommel are gorgeous! The sword looks as good viewed distally as it does being viewed from profile! The finish is also beautiful, and the blade finish, in particular, looks just slightly less lustrous than the kind of "mirror polish" described in historical sources - by no means a bad thing, as it falls in line with the finish obtained by originals. 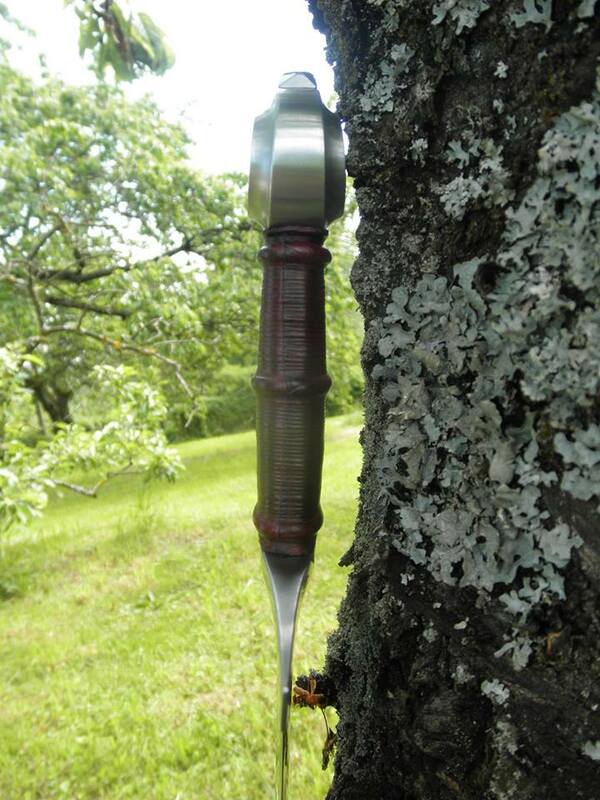 The grip is also applied perfectly, by the looks of it! Congratulations on designing and completing an amazing historical piece! Looks like it would be a blast to fence with!